The disposal of sewage sludge is a problem for many communities. Not so for around 25 municipalities in northern Bavaria: They have found a way to turn their sewage sludge into a coveted commodity. The E & T Aichaberg GmbH & Co. Trocknungs KG upgrades it with the help of a DORSET belt dryer to high-quality and energy-containing fuel briquettes. 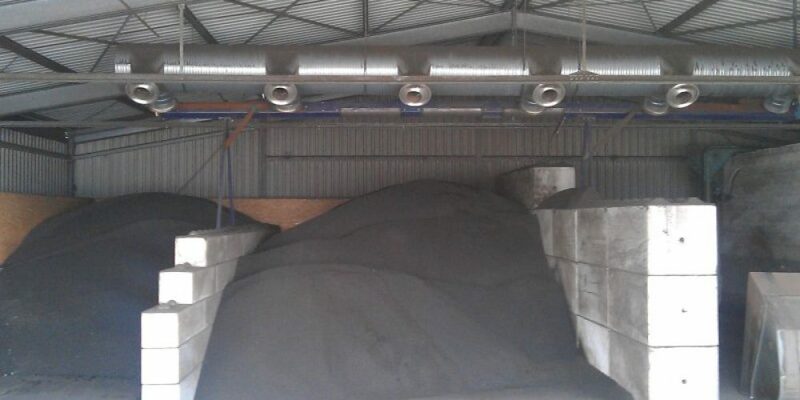 The company dries around 10,000 tons of sewage sludge per year using a DORSET belt dryer – and has done so since 2008. The liquid material is first pre-dewatered at the local sewage treatment plants and brought to a dry matter content of 25 percent, then the sewage sludge passes through the dryer. The material is applied to the belt like spaghetti, via a slurry pump and a pasta press. It spreads over four floors until it reaches the appropriate dry matter content of 90 percent. The heat required for the dryer comes from five wood pellet gasifiers from Burkhardt. Once dried, the dried product had to be crushed into fine particles using a special fine roll technology which uses a fine granulation technique developed by E & T Aichaberg. This fine granulation was incorporated directly into the dryer and caused the final product to have a smaller granule size and thus a uniform dry matter content. “However, the results with the sludge pump and the spaghetti press are so good today that no subsequent granulation is required,” says Karl-Heinz Stiegler, the plant’s managing director. 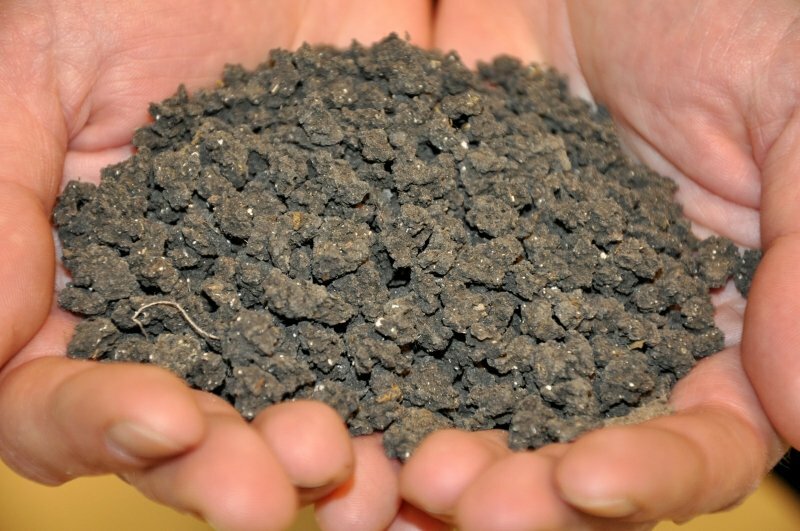 The dried sewage sludge is now gladly accepted as a substitute fuel by a cement factory. Alternatively it is also possible to thermally utilize the material in a sewage sludge mono-combustion plant and to use the residual heat. 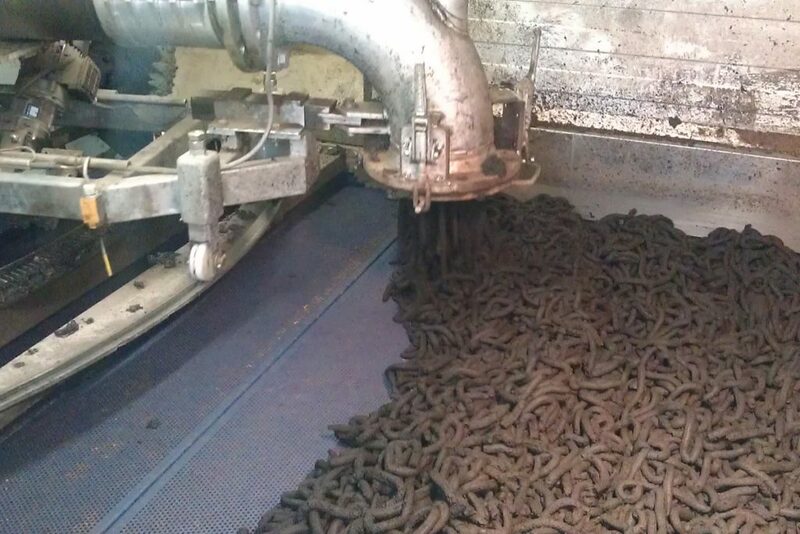 “The DORSET belt dryer gave us excellent opportunities to use sewage sludge for heat production. A simple and really convincing system, which showed already in the first attempts, which great potential it has. We can run the plant without any problems 8,600 operating hours per year and also save electricity: The DORSET system requires about 80 to 90 percent less energy than comparable systems,” said Karl-Heinz Stiegler. Even odors are no problem for the entrepreneur: In sewage sludge drying, the exhaust air is cleaned with a DORSET bioscrubber. The exhaust air values are far below the legal requirements, says Karl-Heinz Stiegler. An expansion of the dryer capacity by a relatively simple extension of the dryer is planned in the near future.